"The key to looking dapper in winter is excellent construction and by choosing the right cloth." If you’re a gent who favours a dapper look, then you’ll appreciate the work it takes to maintain it, particularly in the winter months. The key to looking dapper is excellent construction and by choosing the right cloth. Heavier wools are essential to maintain a suit over decades, not only a season. Wools from England and Italy offer the European sensibility; from a knowledge of cold weather they’ve created some of the world’s finest. They retain their shape and keep away the elements while protecting the dapper man inside. Overcoats are the best way to protect dapper suits. They’re sumptuous and warm and are a stylish addition to an already sophisticated look. They’re a means for exploration; an overcoat needn’t be plain. Through quality cloth options with a spirit of adventure, you can create the perfect thrill with your daring look. 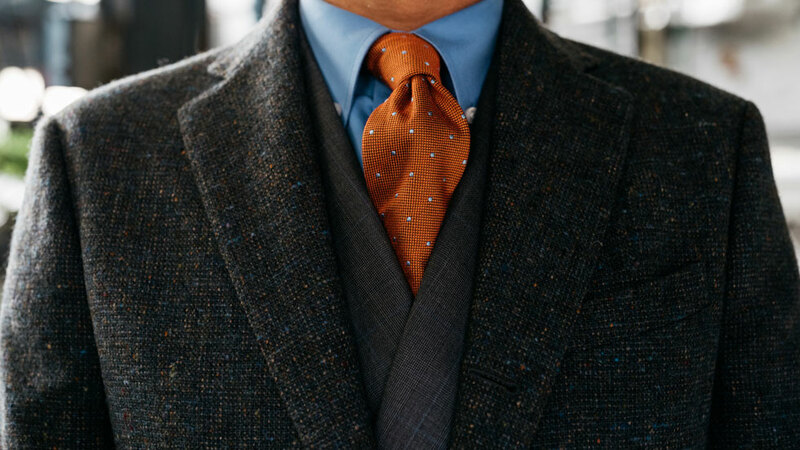 Unexpected colours and patterns stand out in monotony, and your overcoat will make each wear special. Simpler tastes can experience the same joy through use of sublime materials. Nothing’s quite as warm as cashmere when it’s ten degrees. Keeping your suit and coat in check is easy, it requires only vigilance and a keen eye. Inspect your clothes before you wear them and remedy anything in need of attention. Check your trouser hems are in good health and that all buttons aren’t casualties of strong winds. Allow your suit and overcoat to dry of their own accord. Air drying is best; placed on a hanger in a warm room is enough for them to dry overnight. Don’t rush to the dry cleaner if a small stain can be removed with cloth. Use chemical cleaning sparingly to prolong the life of your suit. Good cloth should be treated with respect, and it’s far easier to do it yourself. Our mindset is the best defence against the elements. A dapper outfit is sometimes all we need to feel better about the winter. Starting each day in an outfit makes one empowered and impervious. 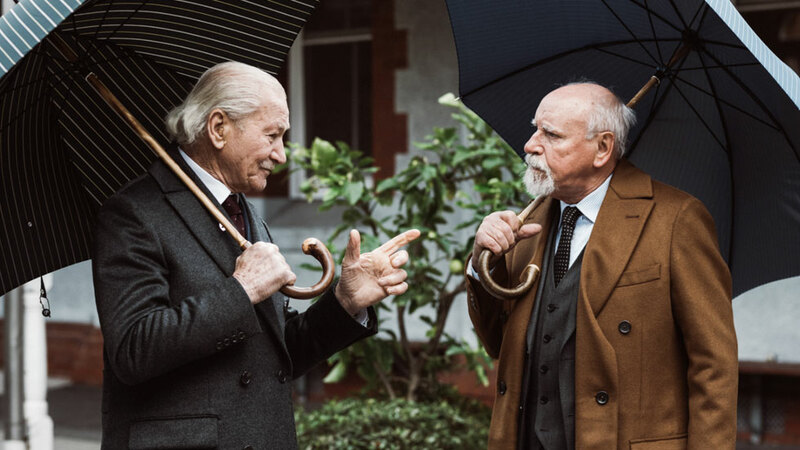 Tailor made and a good umbrella are all you need to take on the world in a cold climate. 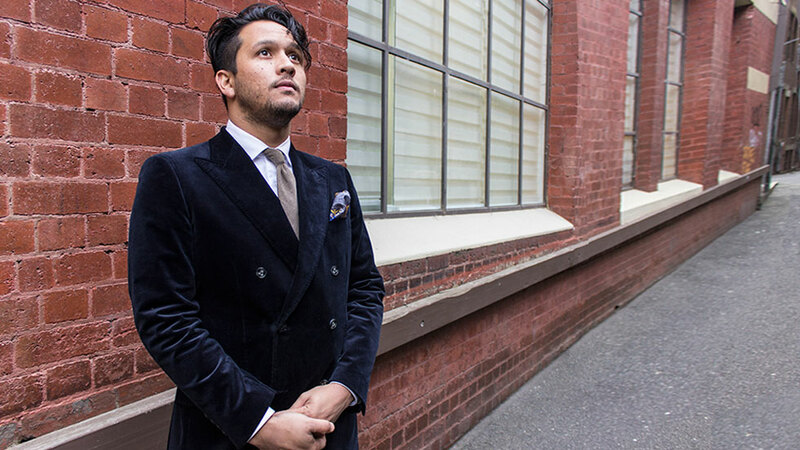 Make an appointment with your tailor to discuss your dapper winter options.